Our Palomar Parking Structure and Police Office project reached a couple of cool construction milestones this week! 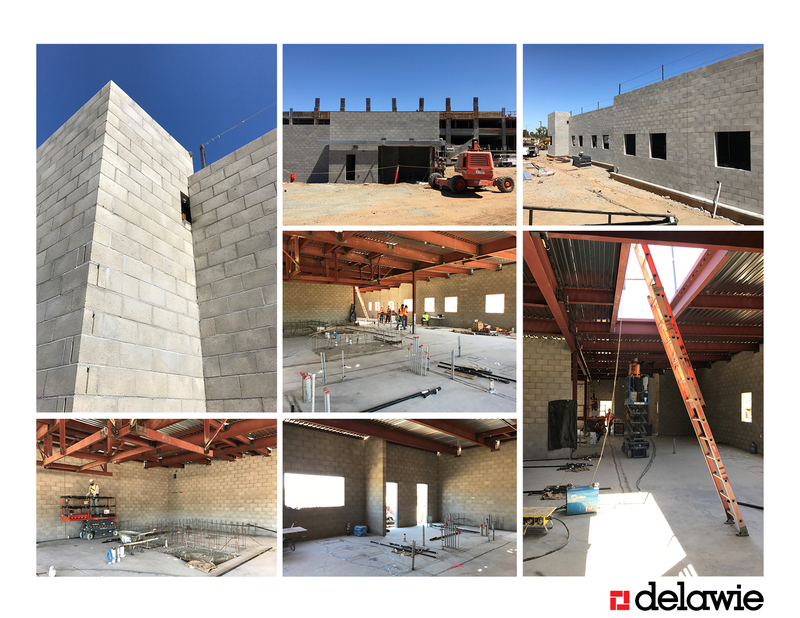 Our Project Manager, Doug Paterson, is doing a fantastic job managing the construction administration phase of this fast-track project for Palomar Community College District. The five-story Parking Structure will be 499,621 square feet, with 1,615 parking spaces, including 28 Accessible and six Van spaces. The structure will be equipped with license readers, emergency phones, and security cameras. The top floor roof will be set up for photovoltaic panels. The Palomar College Police Department will be housed in a separate one-story building adjacent to the parking structure. The 7,645 square foot building will contain a reception area, dispatch office, locker rooms, evidence room, secure interview room, conference/emergency operations room, armory, report-writing room, and live scan room. The station will have a secure parking area for police vehicles and will be equipped with cameras and an audio address system. Expected completion date for this project is January 2018. Renderings and project narrative can be found here.